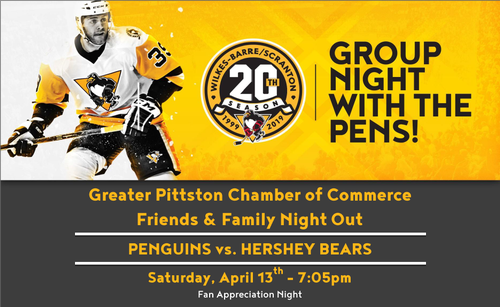 Group Night with the Pens! Treat yourself, your employees and family for a fun night out with the Chamber. Includes Red Zone tickets, McDonald’s Meal Voucher and 20th Season Penguins Hat.